This best-selling comprehensive text is aimed at readers with little or no programming experience. It teaches programming by presenting the concepts in the context of full working programs. The text has an emphasis on achieving program clarity through structured and object-oriented programming, software reuse and component-oriented software construction. The Fourth Edition reflects the suggested improvements of a distinguished team of industry professionals and academics. NEW - Updated case study—Focuses on object-oriented design using the latest UML standard. Illustrates the entire process of object-oriented design from conception and design to programming and implementation. This optional case study is introduced in Chapter 2 and built upon in the next nine chapters. Introduces readers to the UML and key notational schemes that they will encounter in the real world. NEW - Enhanced and earlier treatment of strings and arrays as objects—Using standard C++ classes string and vector. Enables students to begin working with objects and familiarize themselves with basic object-oriented programming concepts. NEW - Improved exception handling and operator overloading presentations. Assists in comprehension of these vital programming concepts. NEW - Improved object-oriented programming presentation. Provides students with strong foundation in the object-oriented paradigm. NEW - New code-highlighting style. Focuses students on the new code element in a program. Substantial treatment of the standard template library—Covers STL containers, container adapters, algorithms, iterators and resources on the Web. Detailed coverage of C++ input/output streams and file processing. Text adheres to the latest draft of the ANSI C++ standards. Provides students with the most up-to-date coverage. Includes a C++ compiler, source code for all the book's examples and hyperlinks to C++ demos and Internet resources. Full-color text—Includes syntax coloring of key code. Helps students to interpret the code they examine. Signature “Live Code Approach”—Presents language features in the context of a wide variety of complete working C++ programs. Features more than 10,000 lines of code in approximately 250 complete working programs. 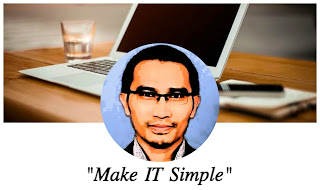 Enables students to confirm that programs run as expected. Readers can also manipulate the code from the CD-ROM in the back of the book, from the book's Companion Website (www.prenhall.com/deitel), and from www.deitel.com. Provides students with hundreds of valuable programming tips and facilitates learning. Extensive set of interesting exercises and substantial projects—More than any other C++ book on the market. Encourages students to apply what they've learned in each chapter. 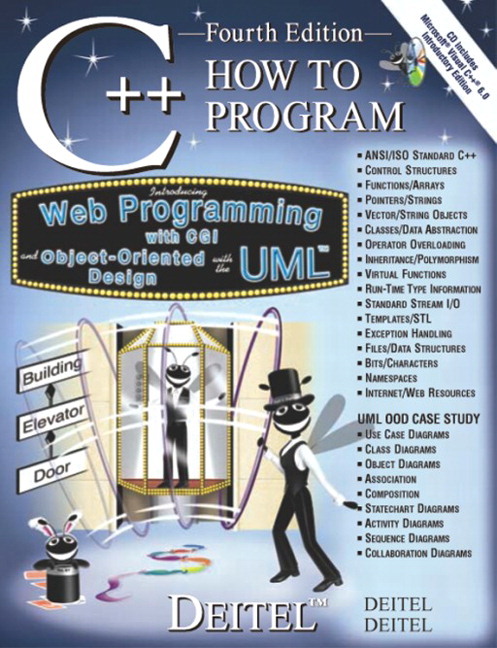 Also available with the award-winning Multimedia Cyber Classroom CD-ROM —In The Complete C++ Training Course, Student Edition, 4/E. Includes approximately 20 hours of detailed, expert audio descriptions of “live code,” hundreds of self-review questions (with answers), hundreds of programming exercises (half with answers), hundreds of tips that are marked with icons and show how to write C++ code that's portable, reusable, and optimized for performance; and full-text searching and hyperlinking. Updated case study—Focuses on object-oriented design using the latest UML standard. Illustrates the entire process of object-oriented design from conception and design to programming and implementation. This optional case study is introduced in Chapter 2 and built upon in the next nine chapters. Enhanced and earlier treatment of strings and arrays as objects—Using standard C++ classes string and vector. Improved exception handling and operator overloading presentations.